Very popular wedding gift! 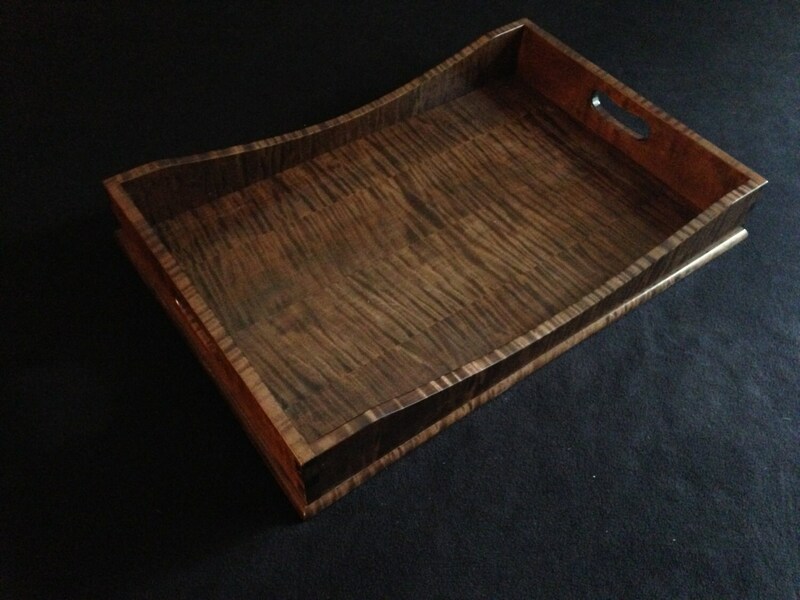 Our trays are made using highly figured Tiger Maple. 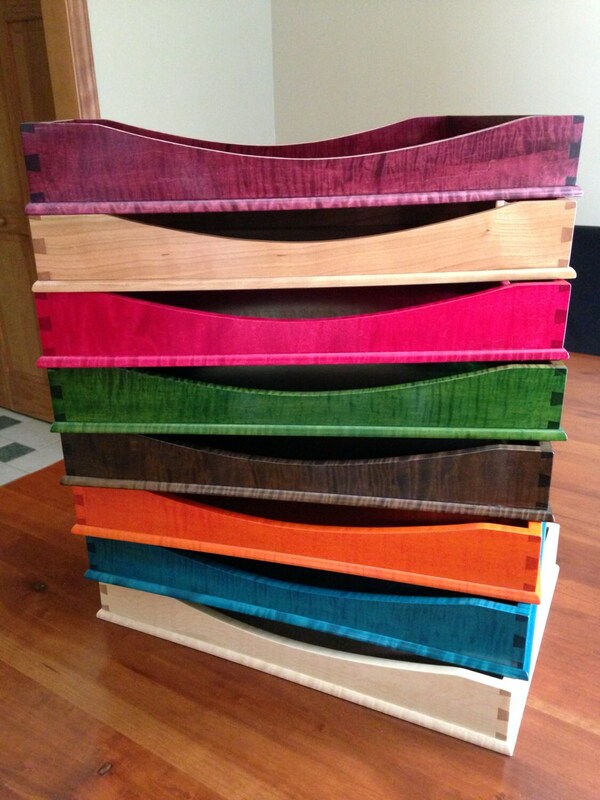 They are really built to last with only solid hardwood and traditional dovetailed corners, just like fine furniture. We've added a hand-rubbed dye, then varnish over the top for a durable finish. Because the finish dries clear, you can still see the natural wood grain underneath, but with a great color to enhance the grain. Our trays are hardy and require little extra maintenance. Do not soak in water, but if you have food or wine spills just wipe it with a damp rag. A note about our colors - we've tried to capture the colors here, but it's hard to make the colors exactly match each time we make them. 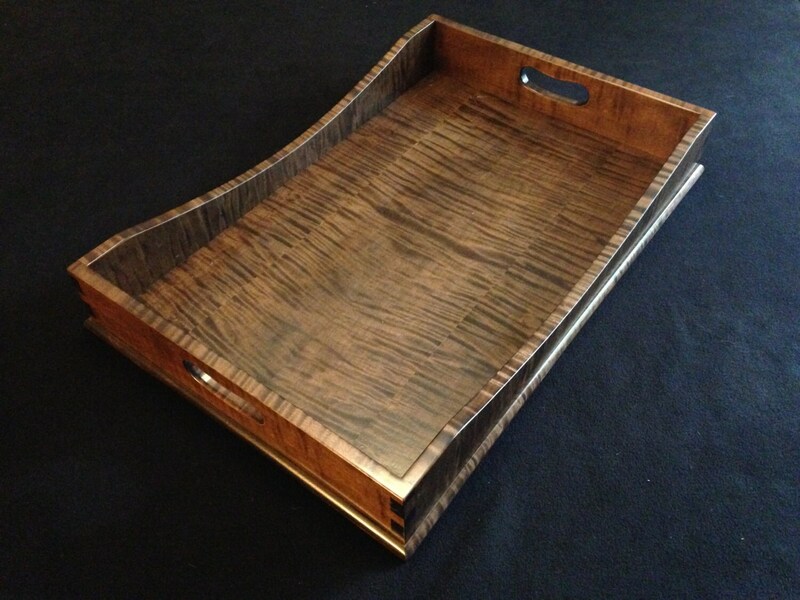 Our Brown Mahogany tray is a deep, rich-looking amber brown.